Whatever your needs for replacement windows, Camberley Glass and Windows can accommodate you. We can provide any kind of window replacement or glazing repair from small single glass panes to plate glass windows and shower screens. We can visit and offer a free, no obligation, quote with no hidden extras. We are a local company that has been working in the Crowthorne area of Berkshire and the surrounding area for almost 50 years. Our byword is customer care which reflects the way our business grew from family run companies. We are known for our professional approach and attention to detail, which our customers remark on in their testimonials. We score very highly on the Checkatrade criteria and are also on the Buckinghamshire and Surrey Trading Standards Approved list of traders. We are a leader in the field with regard to product knowledge in the glass and glazing industry, and our team is fully qualified in all aspects of current requirements and regulations. We are also FENSA registered. We can supply and fit whatever you wish from a small window repair to a full window replacement for your home. We are able to supply a large range of windows in many styles, materials, textures and finishes, and can also provide whatever window furniture or size of windows you need. Our windows meet the highest standards for reliability, security and energy conservation. In addition all our double glazing and glass installations are backed with a fully insured guarantee. 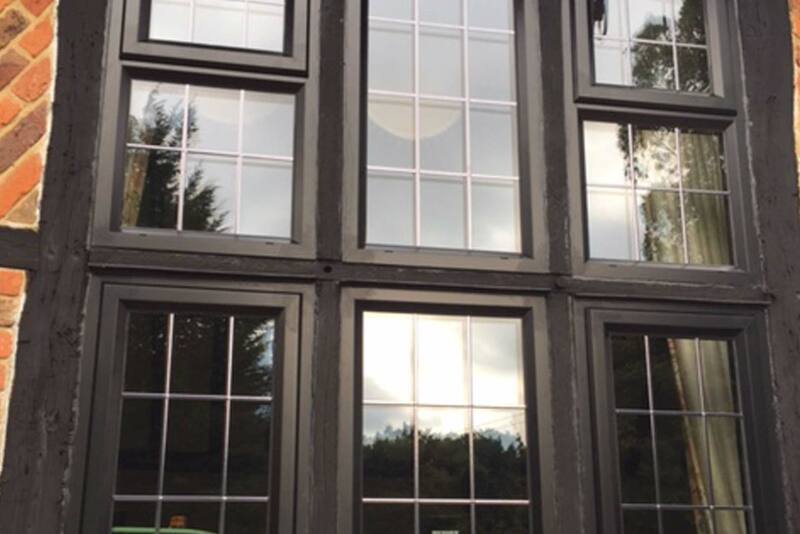 For a replacement window in Crowthorne, Camberley Glass and Windows is the company to contact. Call us or come and visit our showrooms at our offices in Camberley, Surrey. Our advisers are ready to help you with your requirements without any pressure selling or sales gimmicks.